Print your photo on canvas and enjoy a stunning piece of wall that’s uniquely “you”! Photobucket Print Shop offers a wide variety of sizes and canvas photo print styles that are ideal for any photo. Just upload your photos to Print Shop Lab and create your own wall art masterpiece in minutes! You probably have dozens of unforgettable photos saved to your computer or smart phone. Bring them to life with our custom canvas prints and celebrate them each day. Maybe you have some photos of the kids that you snapped at the playground. Or, you took a stunning picture during your last hiking trip to the mountains. Whatever the photo, it’s sure to look amazing printed on a Photobucket Print Shop canvas. Check out our personalized wall art collection for even more ideas! We offer glossy wood panel prints, photo poster collages, and peel and stick prints that are sure to enhance your décor with your most cherished memories. Our most popular canvas is our gallery wrapped photo canvas. They are sure to add a sophisticated look to any room and we offer a variety of custom options so you can create the perfect wall art to enjoy year after year. 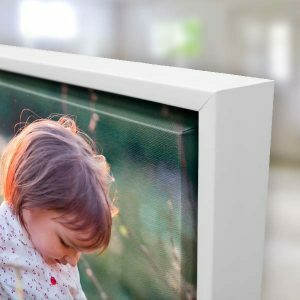 Your photo is expertly printed on genuine artist canvas and then wrapped around the stretcher bars and finally sealed in the back for a professional look. Choose to have your photo wrap around the edges of your canvas or select a color wrapped, or museum wrapped edge, to compliment your photo. You can custom crop your image as well using our online canvas maker to center your subject to your liking. Our gallery wrapped canvas range in size from 5×7 to 32×48, with square canvas print and panoramic canvas print sizes in between! Upload any photo from your collection to Photobucket Prints Shop and design your own wall art for that personal touch you can’t get at home decorating stores. In addition to wall canvas art, you can also decorate any shelf, counter, mantle, or end table in your home with our photo easel back canvas! They include both an easel back as well as pre-installed hardware so they can be displayed virtually anywhere. Create a series of easel back canvases with your favorite photos to dress up your living room sofa table, décor shelf in your family room, or add a little color and character to your kitchen counter. You can design framed canvas prints online with just a few simple steps! Our canvas builder is easy to use and you can create your own masterpiece by simply uploading your photo and choosing your framed canvas size. Our framed photo canvases are available in several sizes and frame finishes so you can seamlessly introduce it to your décor for the perfect fit. If you love the simplicity of wrapped canvas prints, but enjoy the elegance of a framed print, our floater frame canvas is the perfect option! Your gallery wrapped canvas will appear to “float” within the frame for a modern, elegant look. You can also choose to have your photo wrapped around the edges or select a custom color to accent your photo and compliment your décor. 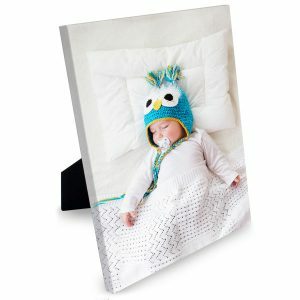 Can’t decide on just one photo to print on canvas? Why not create a photo canvas collage full of your favorite memories! You can choose from gallery wrapped edges or a floating frame canvas print and select a background color or pattern to accent your photos. Upload a series of pictures from your road trip with family or a few random snapshots from years past. You can pick from several pre-designed collage layouts and fill them up with your memories to create an amazing décor accent to brighten your home. Photobucket Print Shop wood framed canvas prints are a great option when you’re looking for that classic look. Pick a frame finish to match your décor or your wood furniture to bring the look of your room together. Our wooden frame canvas prints look great in any home, particularly those with traditional or classic décor. 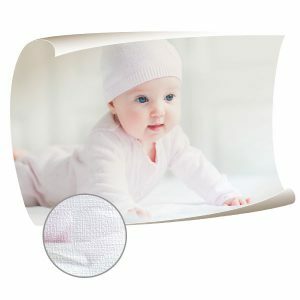 Just find a treasured photo, upload it to Print Shop Lab and create a beautiful, unique décor accent that you and your family can enjoy for years to come. Our most affordable canvas print option is our Canvas Lites! Printed on genuine canvas on a durable, cardstock material, they can be displayed on your side table to liven up your home with color and personality. We have six sizes available so you can showcase any picture from your digital image collection. 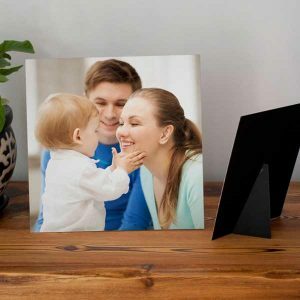 Create 4×6, 8×10, and various square canvas print sizes and enjoy your favorite photos on canvas without breaking the bank. We also have canvases that you can display in your own frame. Our canvas poster prints are printed on genuine canvas and are printed edge to edge with your favorite photo. They are not stretched on a frame like our gallery wrapped canvas. They’re a poster print you can display in a classic photo print frame in your living room or your foyer to add a little color to your décor. Enjoy your photos printed on genuine canvas showcased in a stylish frame of your choice! Are you an avid Instagrammer? Maybe you want to fill up a wall in your foyer with a couple of canvas prints showcasing your favorite family memories. Our square canvases are ideal for a variety of occasions. They’re easy to display together in an artistic arrangement on your wall. Furthermore, we offer several styles including gallery wrapped and framed canvases that are available in multiple square sizes. Speaking of Instagram, we also offer Instagram posters! Upload your photos from your phone and choose a collage layout that displays your favorites! Instagram collages make a lively accent to any decorating style! Whether you’re looking for a small splash of color on your end table, you have a top-notch photo that needs printing, or you’re looking for a personalized gift, our canvas prints will not disappoint. Get your photos uploaded and easily create stunning photos on canvas to add life to your décor! We offer multiple sizes, collage options, frame finishes, and much more so you can display your photos to your liking! If you’ve been wondering where to print photos on canvas, Print Shop Lab is here for you!